Jack McMahon is a rare treasure. In a day when adolescent enthusiasm is too often confused with musicianship, Jack McMahon stands out as an artist of integrity. 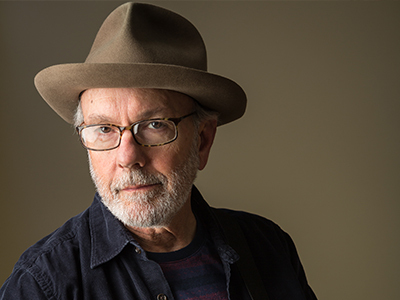 From his formative years in New York's Greenwich Village, through his early professional experiences opening for Bruce Springsteen and Steely Dan, Jack McMahon has always given music priority over image and antics. Gifted with a wonderfully warm, resonant voice, Jack was the preferred demo singer of Gerry Goffin (of Goffin-King fame), and several other New York songwriters. In the early '70s Jack began writing his own songs and recorded them for Columbia Records. After his contract with Columbia Records expired, Jack came to the Northwest. Since that time he has continued to thrill audiences, not only with his great voice, but with precise guitar playing and finely crafted songs as well. That's why Oregonian music critic John Wendeborn called Jack "...one of the best on the west coast...", and why The Cowboy Angels recorded Jack's song "When The Rain Came Down".